I believe it sometimes means making great sacrifices when it is called upon. One of my favorite love stories is the one between John and Abigail Adams. They both believed passionately in their country and gave more than I can imagine to create this nation. They sacrificed time together and time with their families. They sacrificed their own financial security and put their lives at risk. The love letters they sent across the great Atlantic are touching. 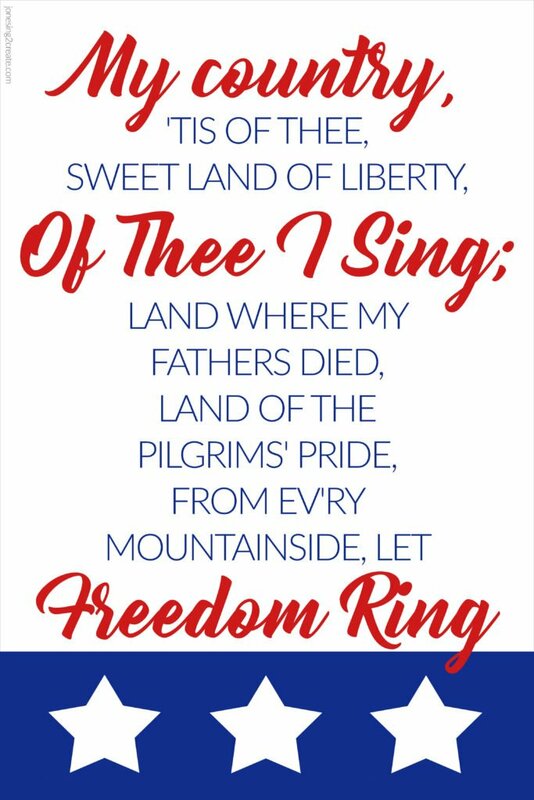 But sometimes letting freedom ring doesn’t require a grand, heroic sacrifice. Sometimes it is in the small, little ways that we live our lives righteously. “Let us be prayerful. Let us pray for righteousness. Let us pray for the forces of good. Let us reach out to help men and women of goodwill, whatever their religious persuasion and wherever they live. Let us stand firm against evil, both at home and abroad. Let us live worthy of the blessings of heaven, reforming our lives where necessary and looking to Him, the Father of us all. He has said, “Be still, and know that I am God” (Ps. 46:10). We often forget the impact living righteously can have on our lives and the lives of others. Why is it so powerful? Because when we tie ourselves to Christ by righteously keeping sacred covenants, we become His agents. My reach and abilities are finite, but His are infinite. He not only gives me abilities beyond my own, but He helps me direct those abilities to the places they are most needed. We see this in the lives of prophets like Nephi and Mormon, but we also see it in the lives of individuals who shine a light on everything and everyone in their sphere. Our freedom comes with the responsibility to live righteously and morally. When we forget God, we leave behind that strength. It is the strength that people like the Adams needed when founding this nation and the strength that we need as we keep our families and our nation on track. Whether in the big or small moments, who we are and what we can do is defined by our relationship to God. 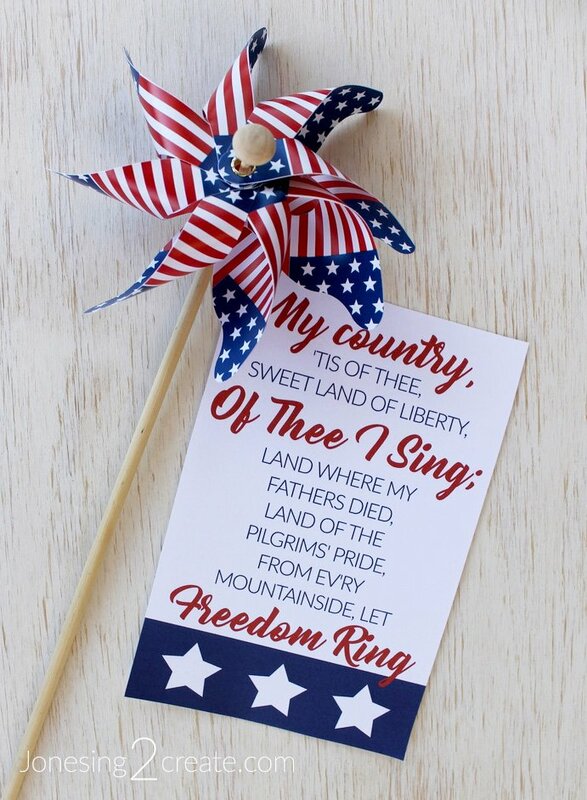 I did a few variations on the Fourth of July LDS Ministering Printable. This one has those little confetti poppers that their kids can use on July 4th. You pull the string, and it pops while releasing confetti. 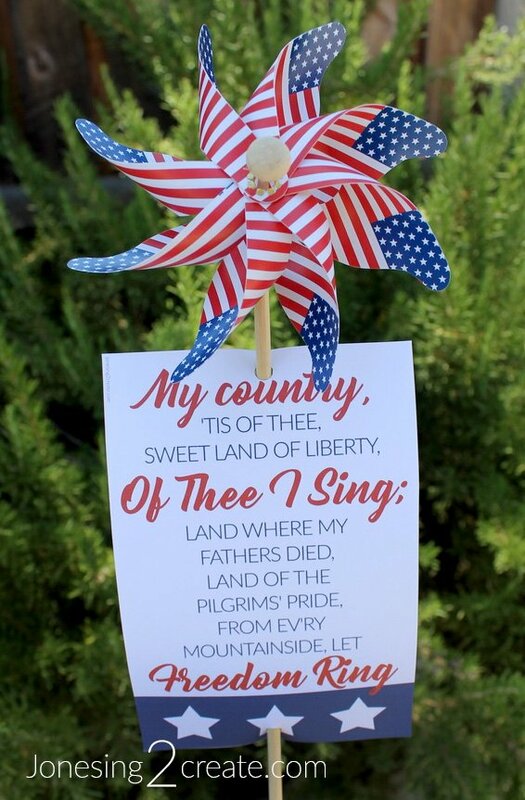 For this Fourth of July LDS Ministering Printable, I used a hole punch and threaded the stick through the paper. I bought the cute, little pinwheels at my local 99 Cent Store. This way would be cute for sticking in a flower pot. 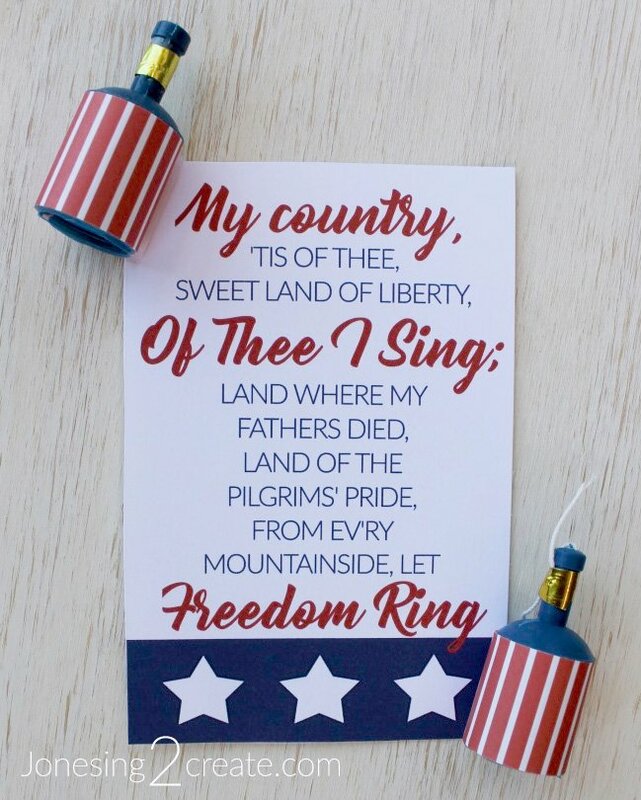 Did you like this Fourth of July LDS Ministering Printable? Find more LDS ministering printables here. Thank you so much for putting your thoughts where they can be seen by many (I hope!) Your essay is a testament to our founding fathers, but also to the need for us to follow them in righteous living. The rewards will be great! Amen! Thank you so much for your kind words! And you are right, the rewards will be great.